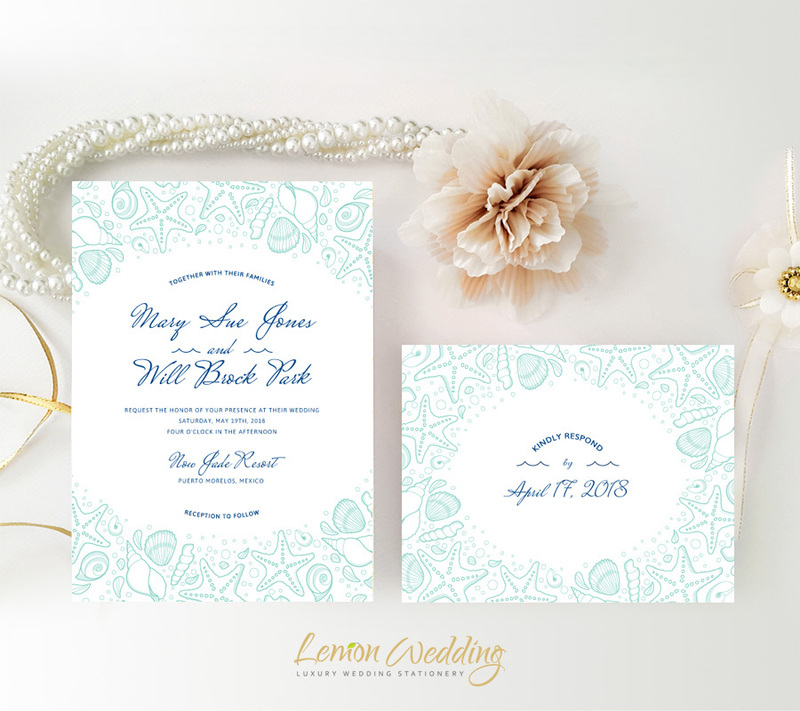 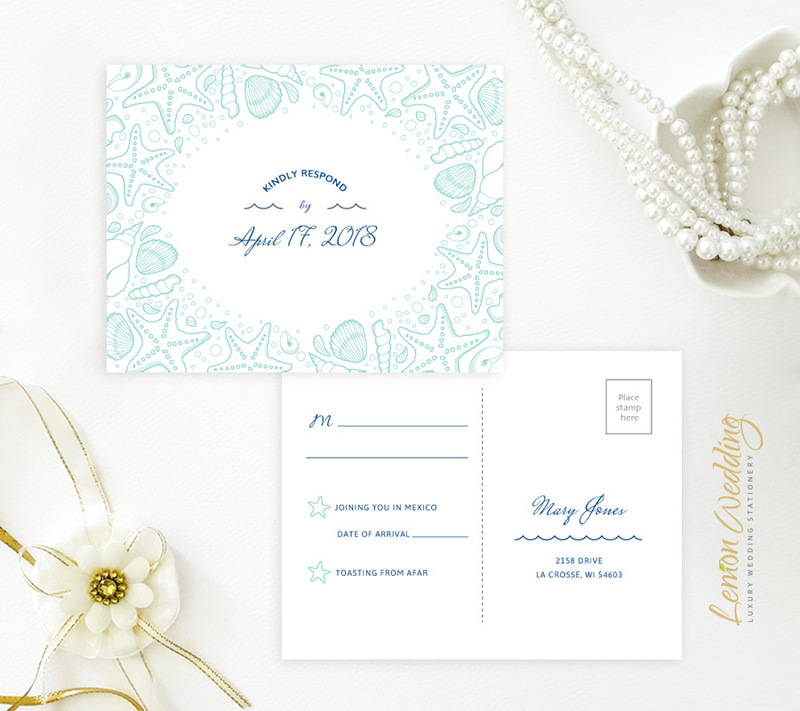 Tell your guest it’s time to get excited for your big day near the beach with our Nautical Wedding Invitations. 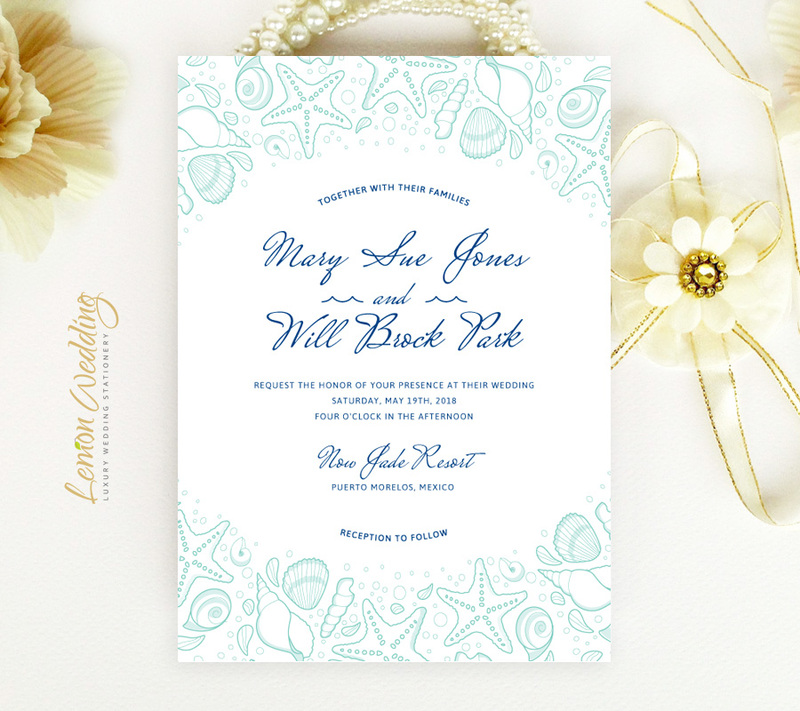 Our invites are decorated with a gorgeous seashell border design in lovely seaside blue. Printed on premium card stock, our invite set includes a wedding invite and R.S.V.P cards.